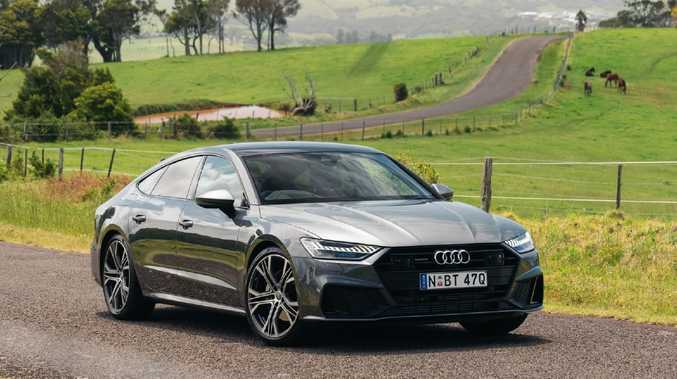 At $131,900 the A7's swoopy silhouette doesn't come cheap. Our test car came with premium paint for $2200 and an $8000 "premium plus package" that included adaptive air suspension, massive 21-inch wheels, sunroof, four-zone aircon and 30 shades of ambient lighting. 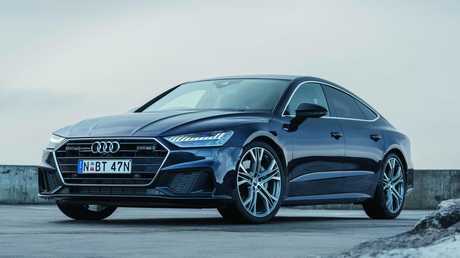 It's a big ask but the Audi's cabin is one of the best in the business, with high quality finishes and hi-tech attractions including a digital dash display, Wi-Fi hotspot, a large 12.3-inch high resolution centre screen, smartphone mirroring, wireless charging for late model phones, a head-up display and impressive Bang and Olufsen 3D audio. Warranty is shorter than average and the $1870 three-year service plan isn't cheap. You won't find many cabins that are more luxuriously appointed. The leather seats adjust electronically to accommodate the tallest and widest of occupants, delivering a good blend of luxury lounging and sporty bolstering, while the mood lighting has a calming effect at night. Unfortunately, the huge 21-inch wheels detract from the cosseting experience. Even with the adjustable suspension in comfort mode, the big rims and skinny rubber transmit road imperfections to the driver's seat. Rear headroom is tight and it's dark in there - without a sunroof the rear pews could feel a little claustrophobic thanks to the high window line. The boot is big and useful, thanks to the liftback design freeing up more space than a sedan boot. If you prang an A7, you're really not paying attention. The Audi has one of the more advanced and comprehensive driver assistance arsenals. It can stop and go in traffic, keep a safe distance to the car in front, steer you back into your lane if you wander and even pick up the telltale signs of fatigue and give warnings. Its automated emergency braking will detect and brake for pedestrians at up to 80km/h and will mitigate accidents up to 250km/h. The car can also detect if you're going to be rear-ended or whether you're backing out into oncoming traffic. It can also stop you from opening your door on a passing cyclist. Audi's 3.0-litre turbo V6 (250kW/500Nm) almost makes a V8 redundant, apart from the rather muted exhaust. It delivers good acceleration off the mark and plenty of power on the open road. Audi claims a 0-100km/h time of 5.3 seconds, more than adequate for a grand tourer. There's no disguising its weight and size on hairpins and tighter turns but it grips well through sweepers thanks to the all-wheel drive. Slightly cheaper but not as sleekly styled as the Audi and cabin doesn't have same ambience. 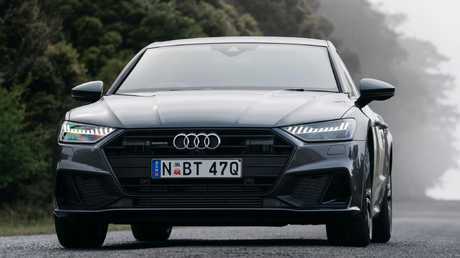 Four-cylinder turbo puts out 190kW/400Nm. The stylish Merc matches the interior plushness and techno tricks of the Audi, for slightly more money. Four-cylinder bi-turbo pumps 220kW/400Nm through a nine-speed auto. 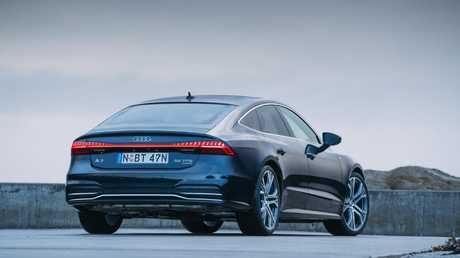 The A7 oozes quality inside and makes rapid progress, although the ride isn't always magic-carpet like.